Front wheel drive and independent rear suspension cars are designed with CV axles. These axles allow the movement of suspension parts while delivering engine power to the wheels and are a normal wear item that will last between 80,000 and 100,000 miles depending on driving conditions and habits. A CV axle is designed with a circular boot that is responsible for holding the lubricating grease inside the joint. When the boot cracks grease will spill out as the axle spins coating the inside of the rim, tire and fender well with grease. As the grease is vacated from the joint the axle will start to have performance issues that will present themselves at first while turning the car under acceleration by creating a popping or clicking sound. As the problem becomes worse the CV axle will create a vibration that can be felt in the steering wheel, hood and floorboard of the car. If a CV axle breaks completely the car will be rendered non operative because the opposing axle will not be able to move the car due to the differential spider gears which will spin internally not delivering the engine's power to the remaining axle. 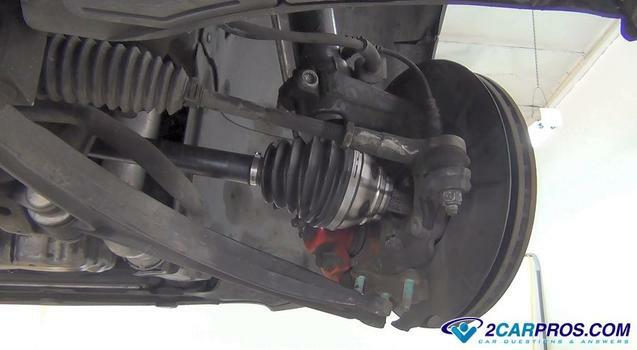 Under acceleration a bad CV axle and joint will cause vibrations at higher speeds of 55 MPH or 88 KPH. This is because one of balls in the CV joint is seized not allowing the free rotation of the joint creating a binding action that hinders the balance of the axle. A CV joint cannot be rebuilt or repaired by the normal mechanic and must be done by a manufacturing company. 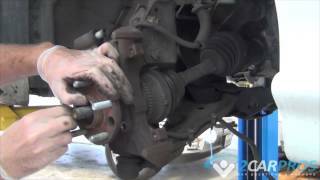 When a CV axle goes bad is must be replaced which usually takes about an hour to complete. A new axle can be purchased at Amazon or the local parts store for between $50.00 and $80.00 (US). If you need car repair advice please ask our community of mechanics.